The Mr Linky for signing up this week is at the bottom of this post. I have a few books to talk about in Library Loot this week. I do think I am going to have to rethink my library borrowing strategy, or more precisely my reading strategy, because I just don't seem to be getting much read at the moment. The biggest reason why is the cut in the travel time now that I am only catching one train to work every day! The fact that I have been exhausted for the last two nights also hasn't helped. I am not going to do anything desperate just yet, but the writing is on the wall for sure! The Oak Apple by Cynthia Harrod-Eagles - I am slowly working my way through the Morland Dynasty books by Cynthia Harrod-Eagles. This is book number four in the series! A Dangerous Love by Sabrina Jeffries - I am pretty much up to date on all the more recent releases from Sabrina Jeffries, so now I am trying to read through her back list to see what gems are there to be discovered! The Little Stranger by Sarah Waters - the first of two reloots this week! I do really want to read this author because I think I will like her. Hopefully this will be the time when it happens! The Night They Stormed Eureka by Jackie French - The second of my reloot books. I want to read this because it is YA with an Australian historical setting. 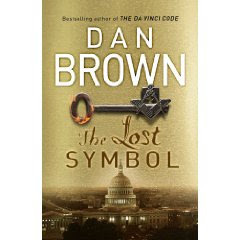 The Lost Symbol by Dan Brown - I put my name down early to get this one from the library so quickly. I was a little surprised when I went to the library and it wasn't waiting for me on the hold list as I knew that it was supposed to be there. Turns out that they were keeping any copies of this book behind the counter, in case someone stole them! So what books did you borrow this week? Leave you link in Mr Linky so we can all come and be nosy and see what loot you got! SCORE on the Dan Brown book, huh?! Way to think ahead. I saw a friend reading it and told her it would likely be months or more before I get to it just because I have so many books already in my read-right-now pile... she looked at me like I was crazy. oh well! The Little Stranger is on my wishlist. Enjoy! I love Sarah Waters. The Little Stranger is on the "quick reads" list at my library, but was gone when I went in, so I'm hoping no one will take it again before Saturday! 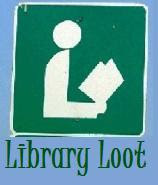 And you are quite lucky to get The Lost Symbol so quickly! We'll be getting that out of the library as well after the fuss has died down. I will be back to link my loot post shortly! And how are you enjoying The Oak Apple? I'm curious to hear how you like The Night They Stormed Eureka. It looks interesting. I am really excited to hear what you think of The Little Stranger. It looks like a great book. That certainly is a bag of loot! Hope you enjoy them all, and the Lost Symbol. You found some great books! The Little Stranger looks interesting. My loot was very tiny this week, only one book but I'm happy with it. Hopefully, next week will be better. What a great batch. A couple of those are on my to-read list.